Citroen Divine DS concept revealed | What Car? The Citroen Divine DS concept car has made its public debut at the Paris motor show. 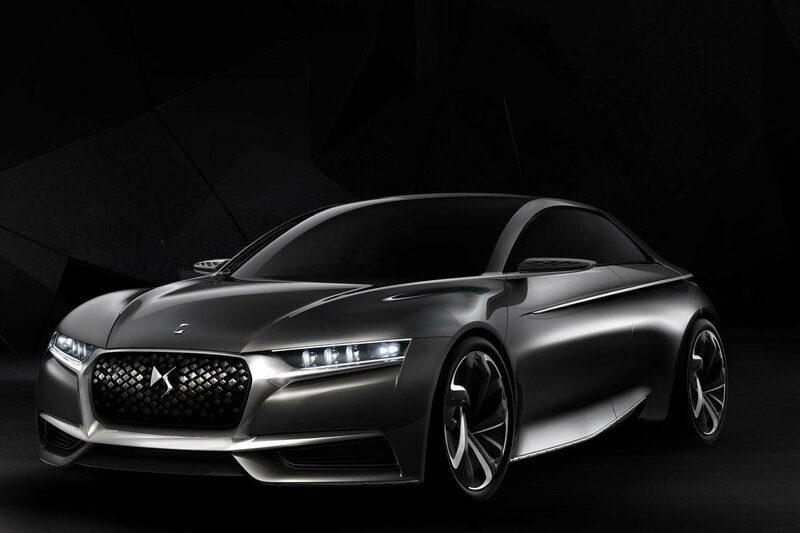 The concept car is intended to preview the future look of the DS range. It is not a preview of a specific model, though, and will never go on sale. Instead, elements such as the grille, the 20-inch alloy wheels and the roof, which has a design that's described as resembling the scales of a reptile, are all set to influence the look of future DS models. Citroen describes the interior as having three 'dress codes' to suit three different types of buyer. The three styles are called 'Male', 'Parisienne Chic' and 'Fatale Punk'. Male is a sober design, and uses carbonfibre and glazed, burnished leather; Parisienne Chic gets ivory leather and pleated silk satin and beads and crystals; Fatale Punk features crystal-studded black leather. The interiors were created in conjunction with Swarovski and Lesage. Citroen has also shown off new cabin technology in the Divine DS, with a 10.4-inch touchscreen that is positioned on the overhead central console. It also has a function that replaces the rear-view mirror. The engine in the concept car is a 270bhp1.6-litre THP petrol with CO2 emissions of 145g/km.